November 9th, 2017 By: GGT Category: 2018/02 release, Figure News. 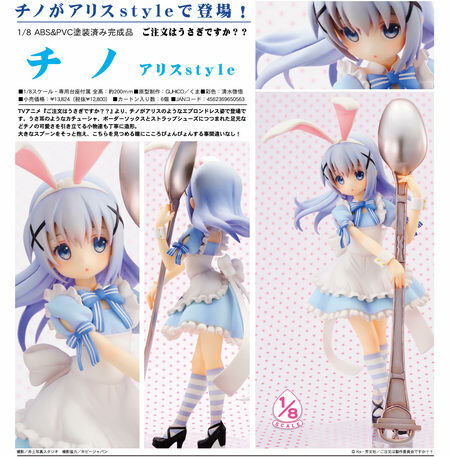 Aquamarine is going to re-release the Chino ( チノ ) Alice style ( アリスstyle ) 1/8 PVC figure from the manga/anime “Is the Order a Rabbit?” (ご注文はうさぎですか?, Gochumon wa Usagi Desu ka? ). Will be re-released in February 2018. Around 200mm tall, 12,800 yen. 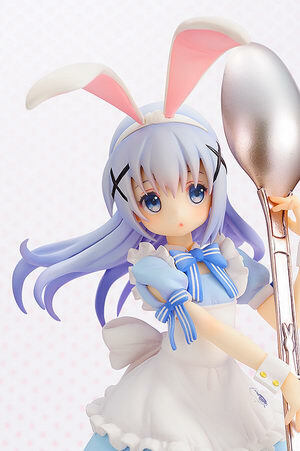 Chino-chan in back again in Alice style! 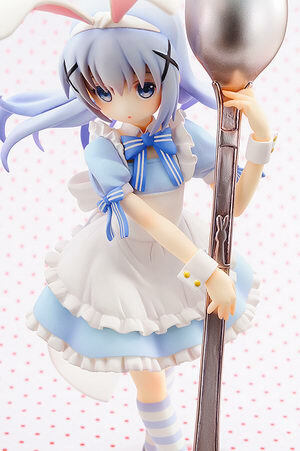 From the anime series ‘Is the Order a Rabbit? 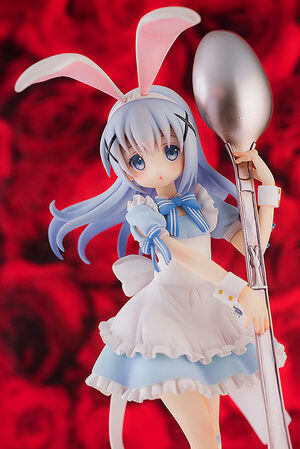 ?’ comes a rerelease of this Chino figure dressed in a Alice-style apron dress! 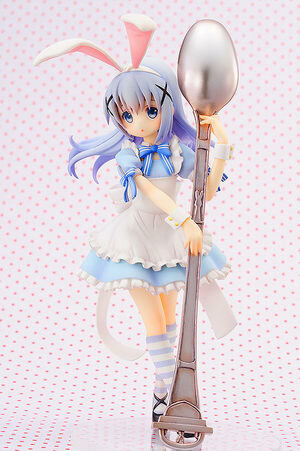 The various accessories of Chino-chan’s cute outfit have been carefully sculpted to bring out her cuteness as much as possible on the figure! 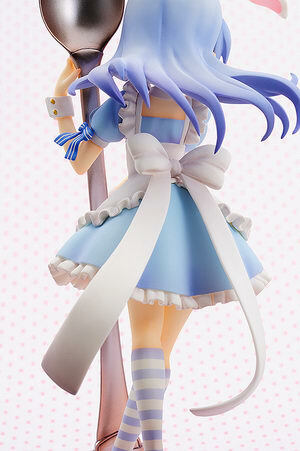 She is wearing an Alice band with cute bunny ears, white and blue striped socks and strappy heels! 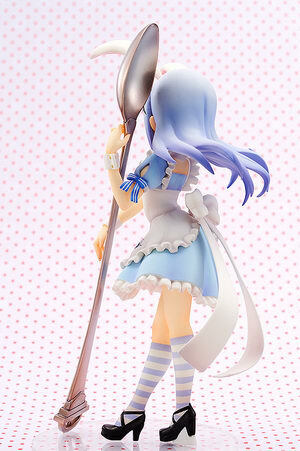 Chino-chan is posed holding onto a huge spoon as she looks ahead with gentle eyes that are sure to get your heart jumping!